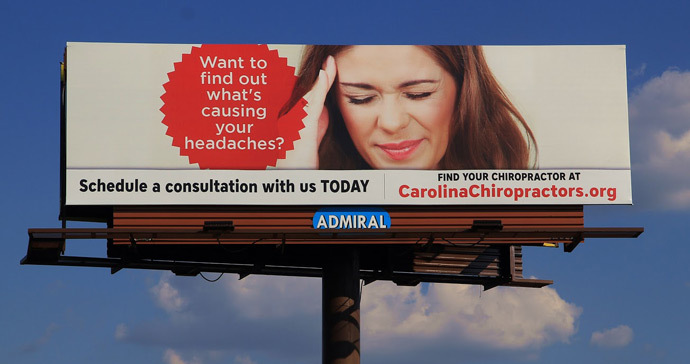 Carolina Chiropractors – Our Billboards BEGIN! Check it out on your way to the beach on I 40, just outside Wilmington. The sign sits at an exit that forks traffic to Topsail beach region and Wrightsville Beach area! Carolina Chiropractors, founded August 10, 2016 was formed by North Carolina FOR North Carolina chiropractors. 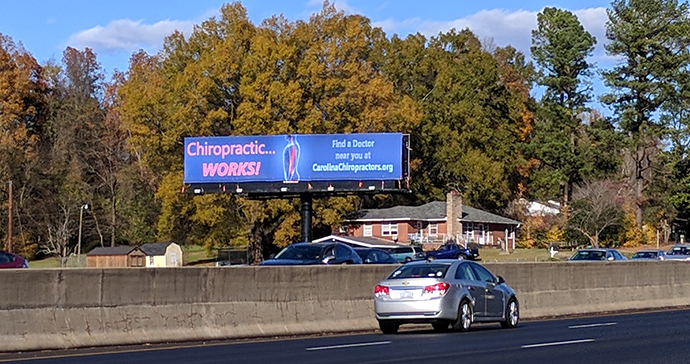 Our mission is to bring back chiropractic success in North Carolina and to help build strong and stable chiropractic offices statewide, primarily through public awareness efforts and affordable continuing education.